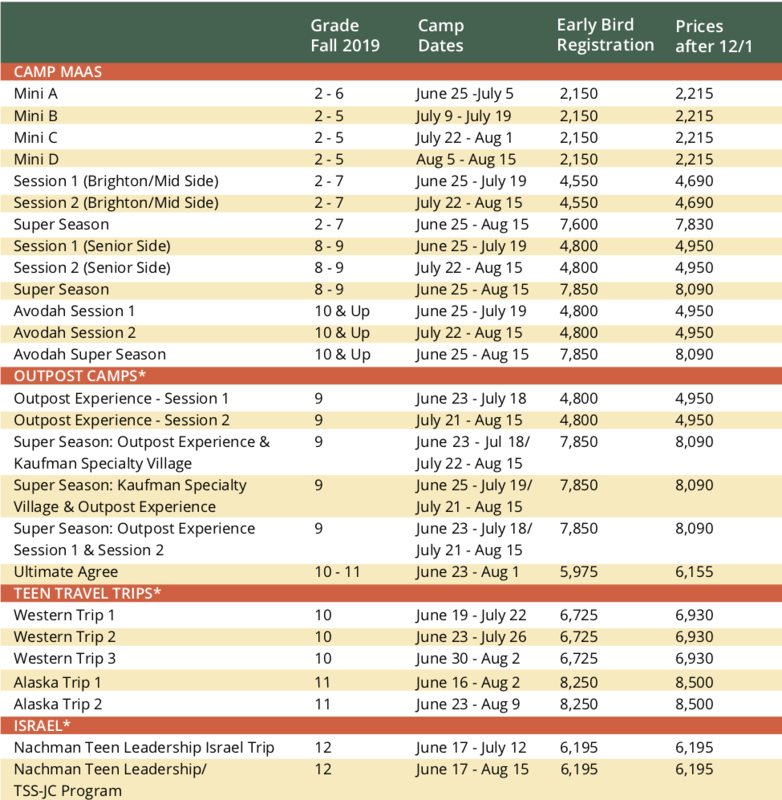 Priority registration available to all previous campers September 5-21. RAFFLE: We are offering four chances to win $1,000 toward camp. Simply register your child(ren) before Nov. 30 and they’ll automatically be entered into the raffle. If you register by Oct. 14, your child(ren) will be entered in all four raffles! SCHOLARSHIP: For qualifying Jewish families living in Michigan, scholarships are available for all Tamarack Camps’ programs including Israel and Teen Travel. SIBLING DISCOUNT: All siblings registered after the first camper receive a $100 discount. All Super Season campers will spend session break at home. *A surcharge may be imposed in the spring due to increased fuel costs—not to exceed $200 per camper. To download our 2019 Dates & Fees, click here.